Disclaimer: This product was purchased by myself using my own money. I am not in any way sponsored by, compensated by, or affiliated with Bésame cosmetics. Last time I modelled with Steve and his usual clients, I was lucky enough to try out several products from the Bésame Cosmetics range as my lovely hairdresser Jac is now the supplier for our region. While I really enjoyed all of the products which I used (including the crimson rouge, violet brightening powder and cake mascara), my absolute favourites were the lipsticks. There are a few different shades which I would like to own soon, but I finally got around to ordering a tube of American Beauty, which my favourite shade for my skin tone. It's a colour from 1945, so fits in perfectly with my interests. It's described by Bésame as a cool berry shade, which I think would be the most flattering on cool and pale skin tones due to the blue rather than orange undertones. It's a shade that puts me in mind of Snow White. It's a great daytime red but I'll of course enjoy it for evening wear as well. 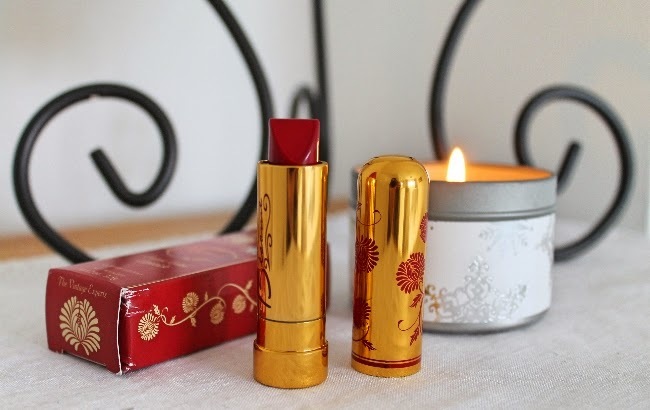 I really like the texture and scent of Bésame lipsticks; they feel like really good quality products. The colour goes on smoothly and opaquely, and lasts well even under hot studio lights. The only negative thing I really have to say is that the price is quite high. I paid £22 for the lipstick, which is more than twice the price of some of my everyday lipsticks, and considerably more than the cheapest lipsticks I own which often cost no more than around £2. Of course this isn't the most expensive lipstick ever, but it might not be an option for every budget. That being said, you get what you pay for in this case. I will definitely buy from Bésame again in the future. If you're based in the UK, you can order from Tip Top Hair Design by giving them a call on 01332 862740, or by popping in to the salon which is located on the Staunton Harold Estate near Ashby-De-La-Zouch. Edited 25/11/14 to correct pricing information. (I also like your blog layout switch-up. Your picture and such on the left is so great! Very pretty photo shoot, and I love how the lipstick looks on you. 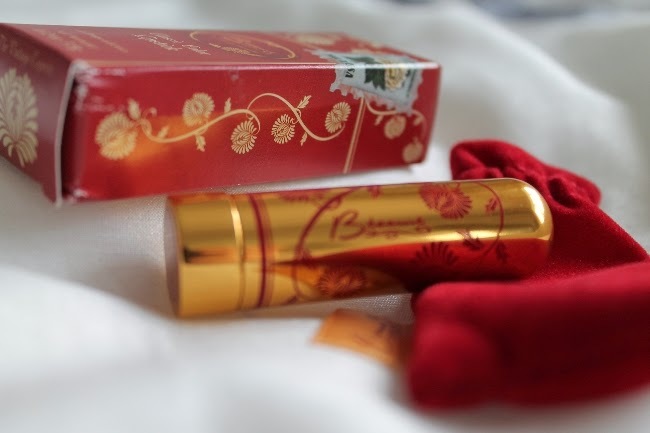 I'm a bit cheap when it comes to lipsticks since there are so many good, inexpensive ones out there, but I always drool a little bit over the packaging for Beseme. It definitely speaks to my vintage loving heart. Immensely lovely, alluring and timelessly pretty photos! There's a certain Marilyn Monroe vibe to them that I just adore! Beautiful photos!!! I just love the look of Besame's packaging - it looks so authentic! Love this colour. I would like to own one myself but I have so many "reds" and as much as I keep telling people that they are all different nobody every believes me. I just think its amazing how adding red lippy can turn the simplest outfit (even just a dressing gown), it to something classy and sophisticated!! I keep meaning to get some Besame lipstick. Perhaps I'll splurge after Xmas? Thanks for the review!